Hey everyone! Something a little different for today! 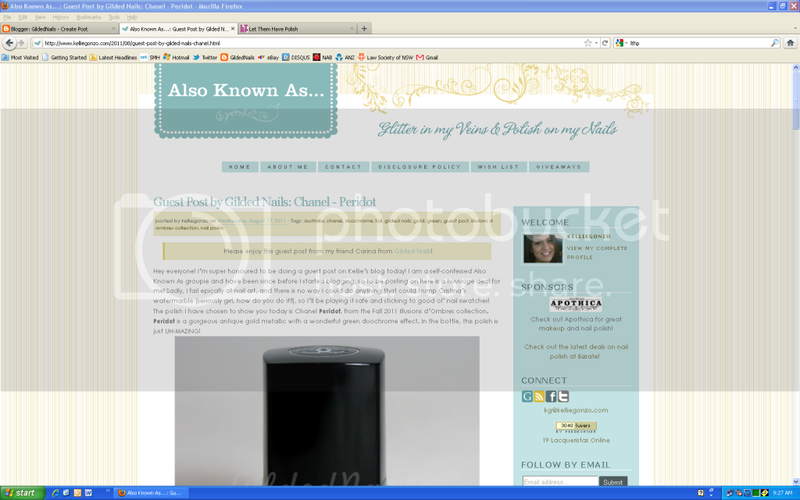 Last week the lovely Kellie from Also Known As asked me to do a guest post for her and it is now live on her blog! I absolutely love Kellie and her gorgeous nails so I was super honoured to be able to do a guest post! Check out my review of Chanel Peridot by clicking on the photo below! Hey everyone! Short and sweet post today (if you exclude the rant!) featuring Dannii from the Zoya Intimate Collection. Dannii is named in honour of the Aussie starlet Dannii Minogue, and like it's namesake it is beautiful and feminine. I love the warmth that the gold shimmer brings to this polish. I found Dannii to be a little on the thick side in terms of formula, but it was also super opaque so it only needed two coats. I love it when a polish is pigmented and opaque in two coats! Dannii is available with the rest of the Intimate collection as of today! (Here in Australia that is - it has been available in the USA for a while now). Zoya products are available from Art of Beauty and selected salons, and retail for $17AUD each. And now for my rant - since some of you may not want to read it, I have decided to put the rant after the jump! Hey everyone! As promised, here is the first of my scheduled "hiatus" posts featuring the Cult Nails Hypnotic collection for Fall 2011. A few weeks back, the lovely Maria from Cult Nails contacted me to find out if I would be willing to review her new collection. Well duh!! Of course I was willing! I freakin' love Cult Nails polishes! What I didn't know at the time was that I was one of only 8 bloggers chosen to review this collection! You can imagine how excited and honoured I was to learn this! The thing is, my excitement about this brand doesn't just stem from my unhealthy obsession with nail polish - I really do have a lot of respect for Maria and the success she has achieved with Cult Nails in such a short time! I have always wanted to start my own nail polish company and I know how much hard work is involved (this being the reason I haven't done it yet!) so I am completely in awe of Maria and her fabulous brand! She is living every nail blogger's dream and I can only hope to do the same one day! Soooooo, now that I have got all that gushing out of my system, let's check out the swatches! In a Trance - Olive green with green and gold microshimmer. I fell in love with this colour as soon as I saw the press image and I'm glad to say it didn't disappoint! 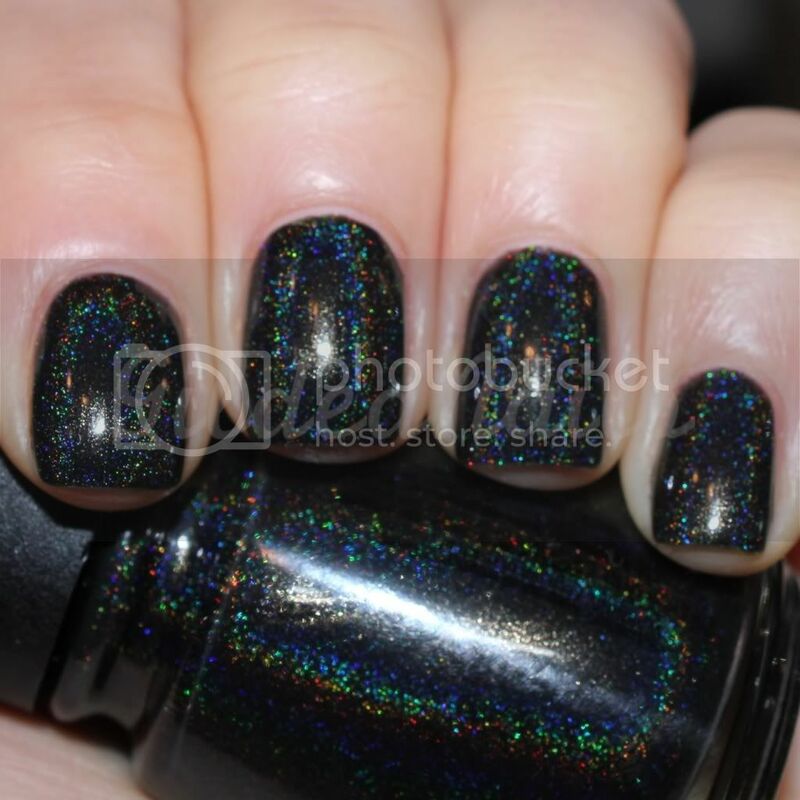 The formula was fantastic – I only used two coats for these photos. For some reason, it looks patchy on my pointer, but I did not see that at all on my nails – it only showed up in the photos. I swear I can see a flash of pink in this as well sometimes, but unfortunately I just couldn't capture it. Awakening – Dark dusty teal cream. I say 'cream' lightly, because the formula was quite thin and watery, which gave it an almost jelly like consistency. However, with three coats, it was completely opaque. Maria says that she wanted some core colours in her line and this is one of them. I love how glossy the finish is. Gorgeous! 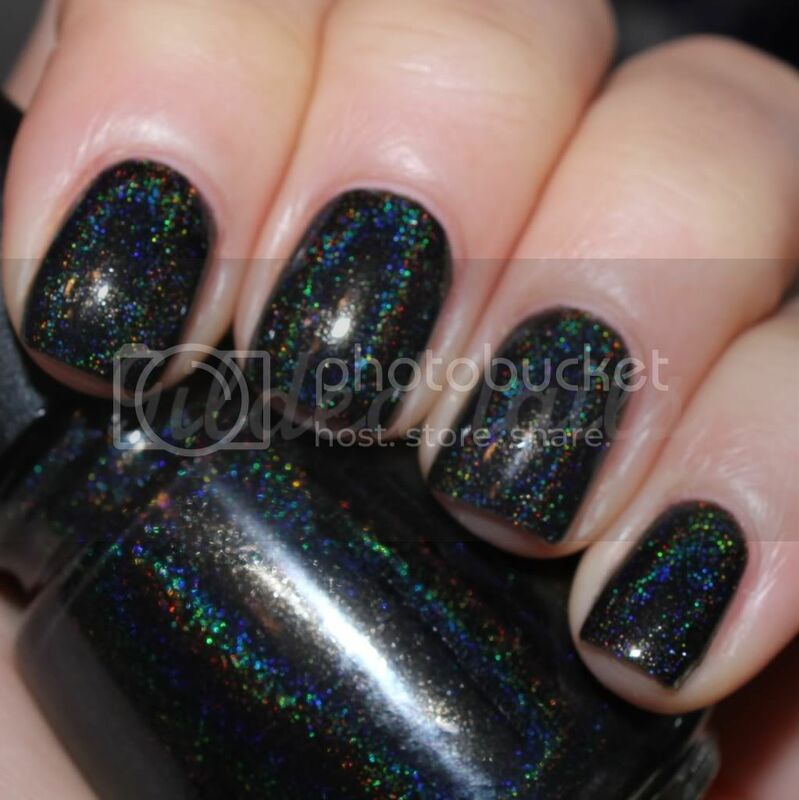 Enigmatic – Dark purple/black with fuschia, blue and purple microshimmer. This one really surprised me! With the first coat, it was pretty patchy and sheer looking, but after the second coat, the microshimmer suddenly popped out! I used three coats and the end result is a gorgeous deep purple shade that has that “glow from within” appearance and a super glossy finish. This is definitely my favourite! 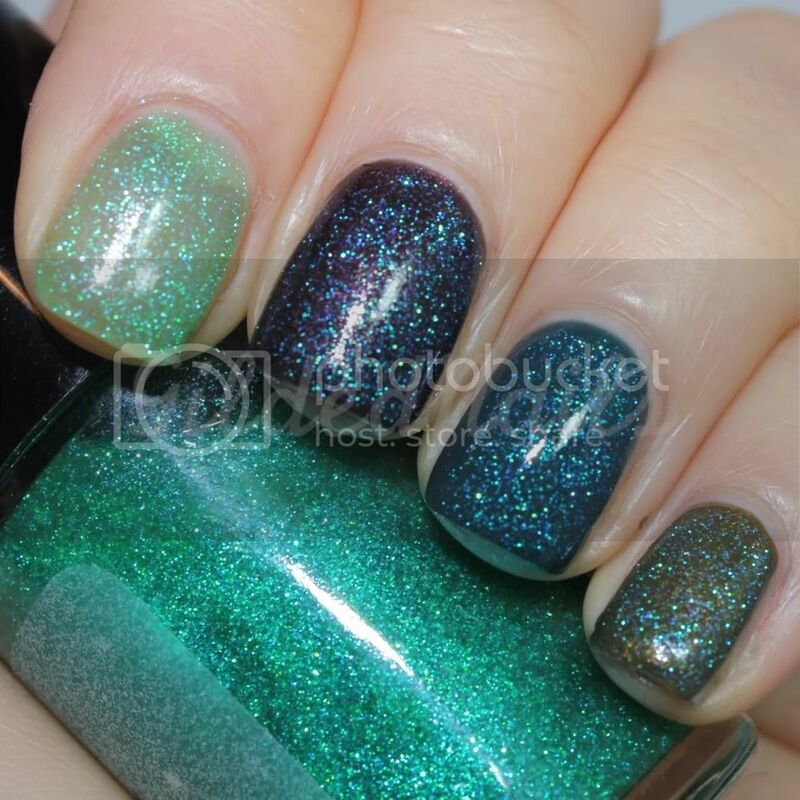 Hypnotize Me – Pale green jelly with blue and green microglitter. I la la love the way this looks in the bottle, however applying it was another story because the formula wasn't great. I found it to be extremely thick so I had to add about 6 drops of thinner to make it more useable. With the thinner, the formula improved a little, but I still think it will require a few more drops before I’m 100% happy with it. 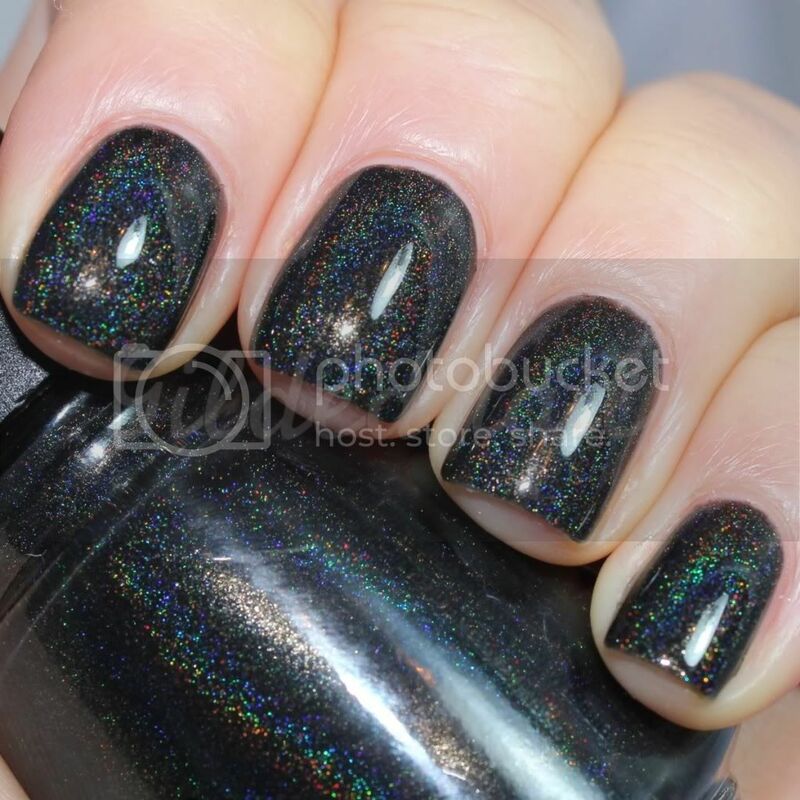 Hypnotize Me is intended as a layering polish so I thought I'd show you what it looks like over each of the colours in the collection. I especially loved the way it looked over Awakening. A blurry shot to you show you the sparkle! I also wanted to quickly mention the Cult Nails bottles and brushes. Personally, I'm not a massive fan of the bottle shape, only because I don't think it reflects the unique beauty of Maria's polishes. However, with that said, I think that she has chosen a great brush! 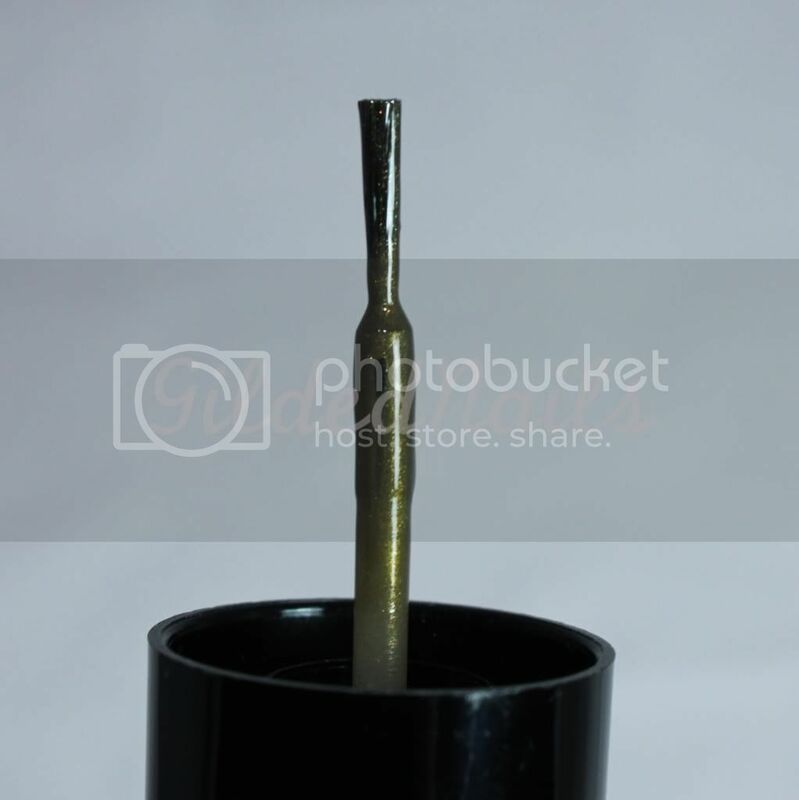 It is a regular looking round brush with long bristles, but it is the perfect density! Not too stiff that you get patches or streaks, but not so soft that you dont have control over the brush. It fans beautifully to make application of the polish quick and easy. Overall, I think this is a fantastic collection. The formula of Hypnotize Me is not the best, but the originality of the colour more than makes up for this! 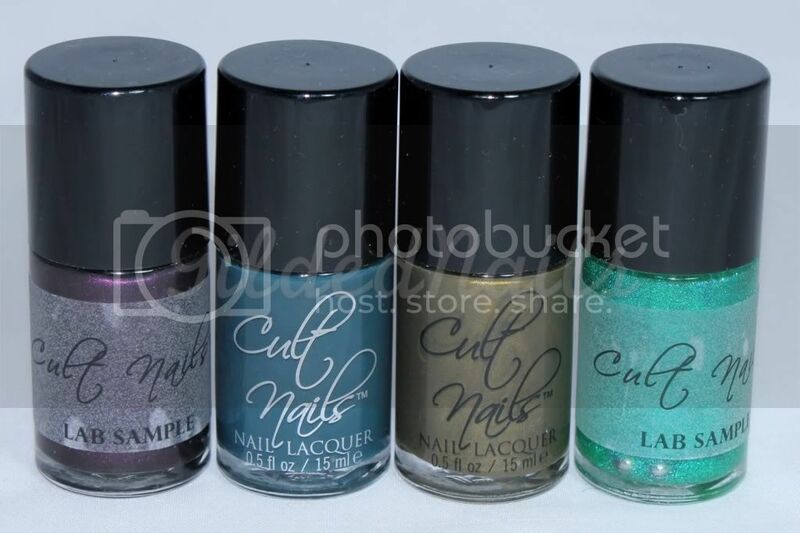 The Cult Nails Hypnotic collection will be available to buy online at www.cultnails.com from late August/early September. Each 0.5 fl. oz. bottle sells for $10 USD. 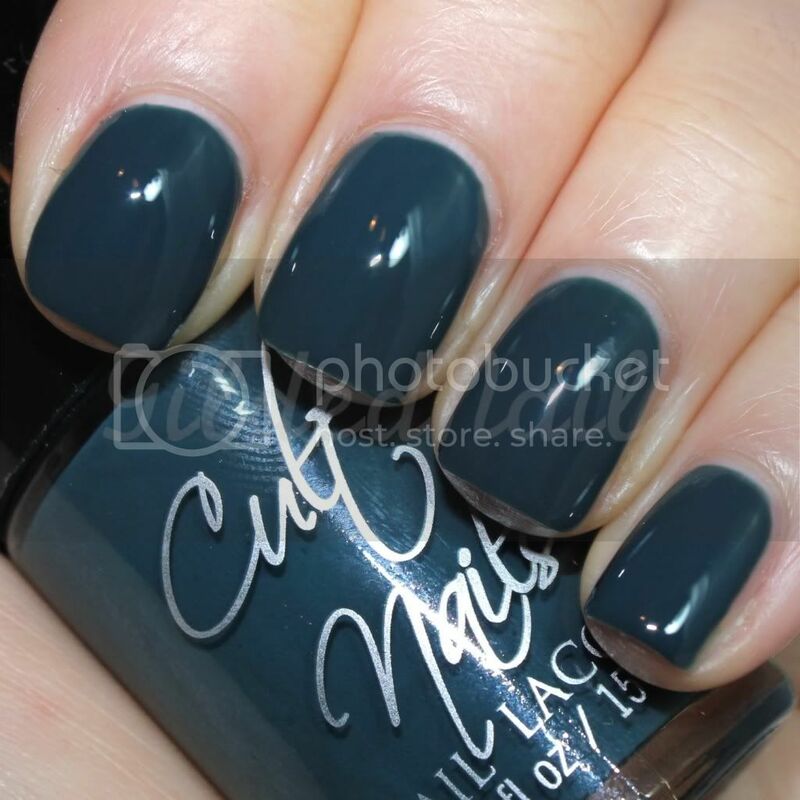 Cult Nails lacquers are DBP, Formaldehyde, Toluene, and Camphor free and are not tested on animals. Just as an aside - I don't have a photo of what I am about to tell you because I didn't want to plug another brand in this review, buuuuuuttttt, when I was doing my swatches I had a certain blue jelly (*cough* Royal *cough*) next to me so I thought I would just quickly try Hypnotize Me over it and HOLY AMAZEBALLS BATMAN! They are a match made in heaven! I will definitely be wearing the combo as a full mani and when I do, I'll take photos and do a separate post on it! Hey everyone! If you follow me on Twitter you will know that I am meant to be on a hiatus in the lead up to my wedding. However, I have sooooooo much stuff to post, I just couldn't stay away! 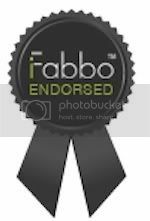 So, what I have decided to do is try and get through my huge backlog of reviews and swatches this weekend, and then schedule posts for the next three weeks until I get married! It is a big task, but I just have so much stuff I need to show you and it just can't wait until after the wedding! 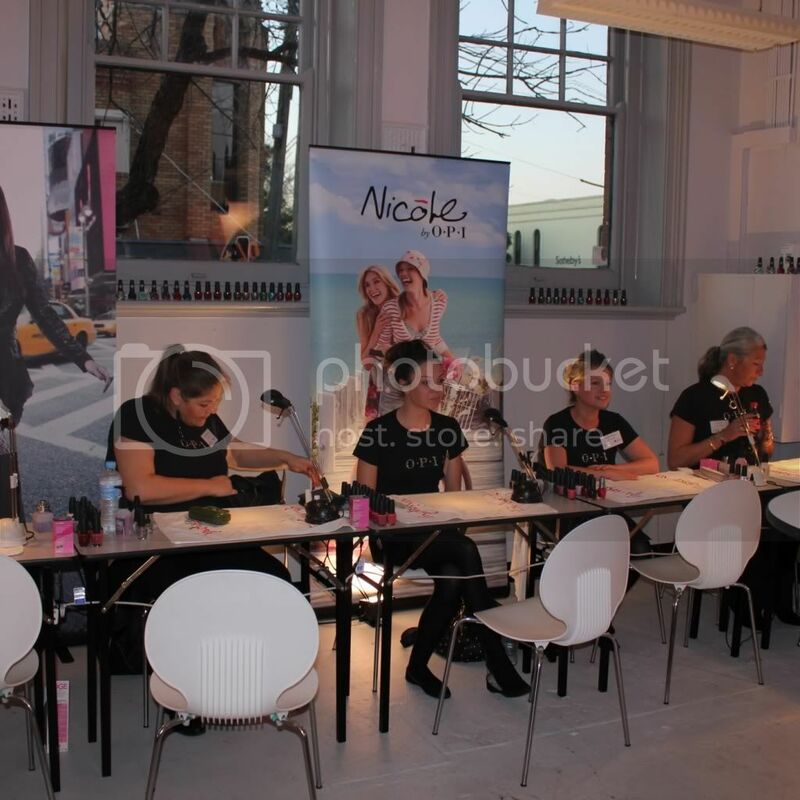 For this post, I have some pic spam from the OPI Touring America launch party which was held at the gorgeous Woollahra Post Office last night. I was ridiculously excited about this event, firstly because of the Touring America collection, but also becuase I was hoping to catch a glimpse of the Muppets holiday collection! The nail polish fairies must have been listening, because they had a full Muppets display and I was lucky enough to even have a mani done with one of the glitters, Rainbow Connection! 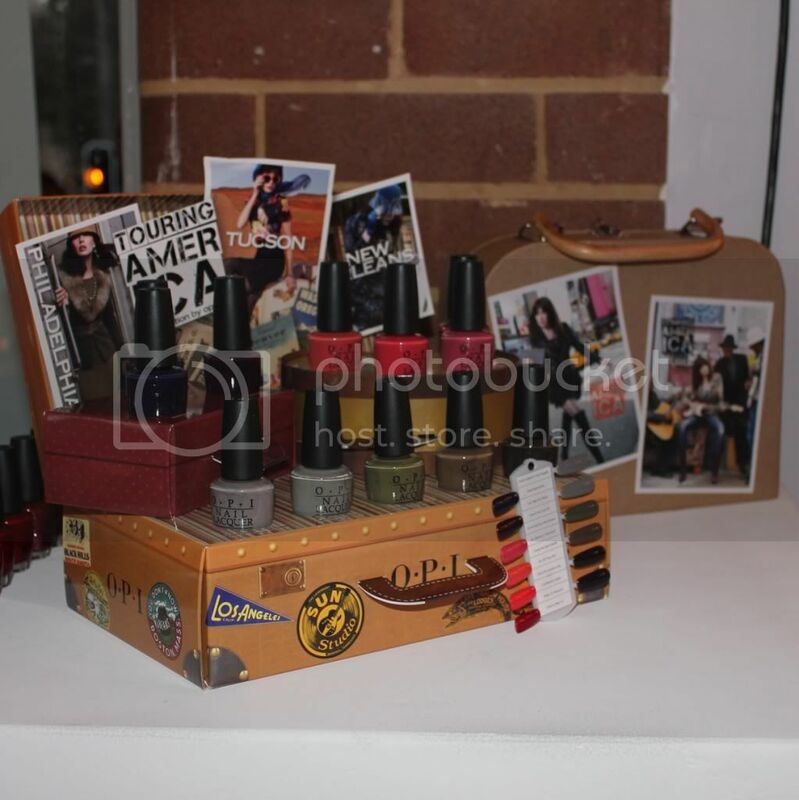 And now for the pics of the products featured at the Touring America launch event! The Touring America collection, available now at selected beauty salons, spas and David Jones nationally for $19.95RRP. 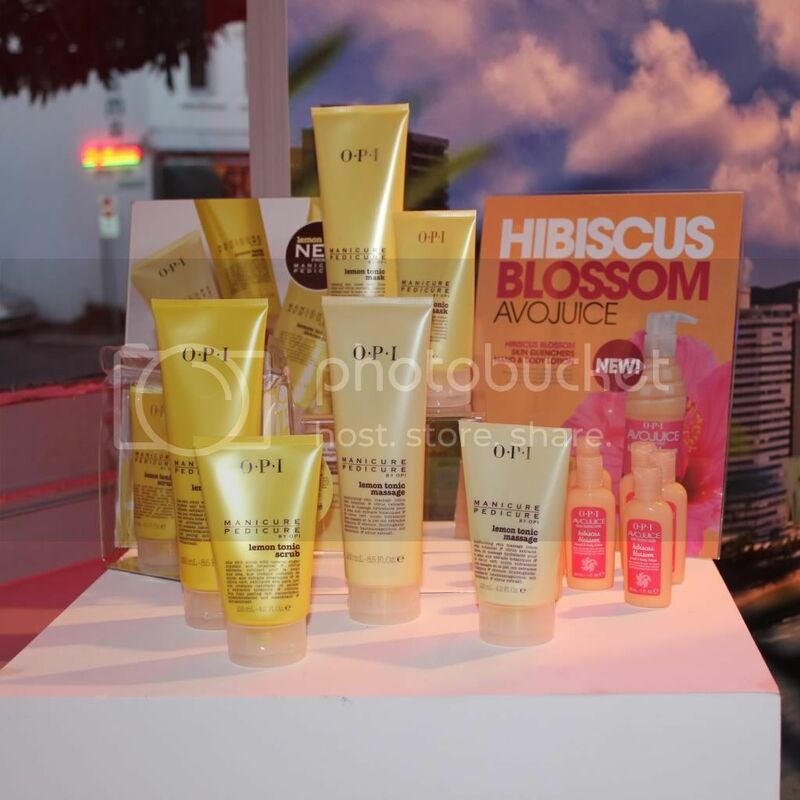 OPI's new Lemon Tonic Manicure/Pedicure collection and Hibiscus Blossom Avojuice Hand & Body Lotion, available in August/September 2011. These lotions smell absolutely divine! OPI Nice Stems collection, available in September 2011. OPI Muppets Holiday Collection, available in October 2011. The Muppets Holiday Collection collection nail wheel swatches - *DROOL*! 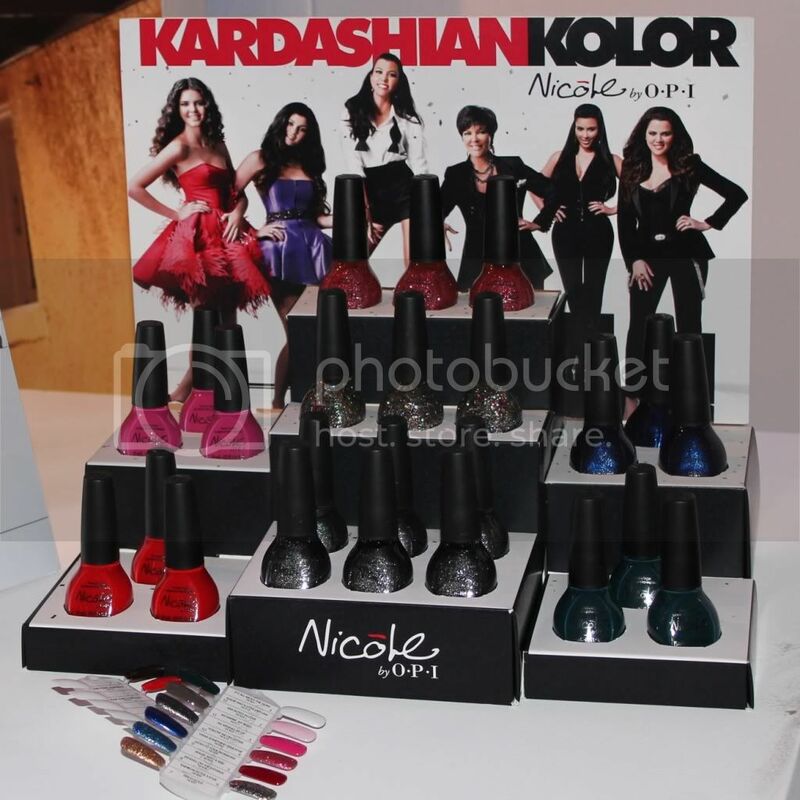 Nicole by OPI Kardashian Kolor collection, available in December 2011. Some nail wheel swatches of the Kardashian Kolor collection. Having seen the swatches, I am actually really looking forward to this collection now! That soft pink, Kim-pletely in Love, is calling out to me! The lovely OPI Australia ladies, about to give everyone a fabulous manicure! 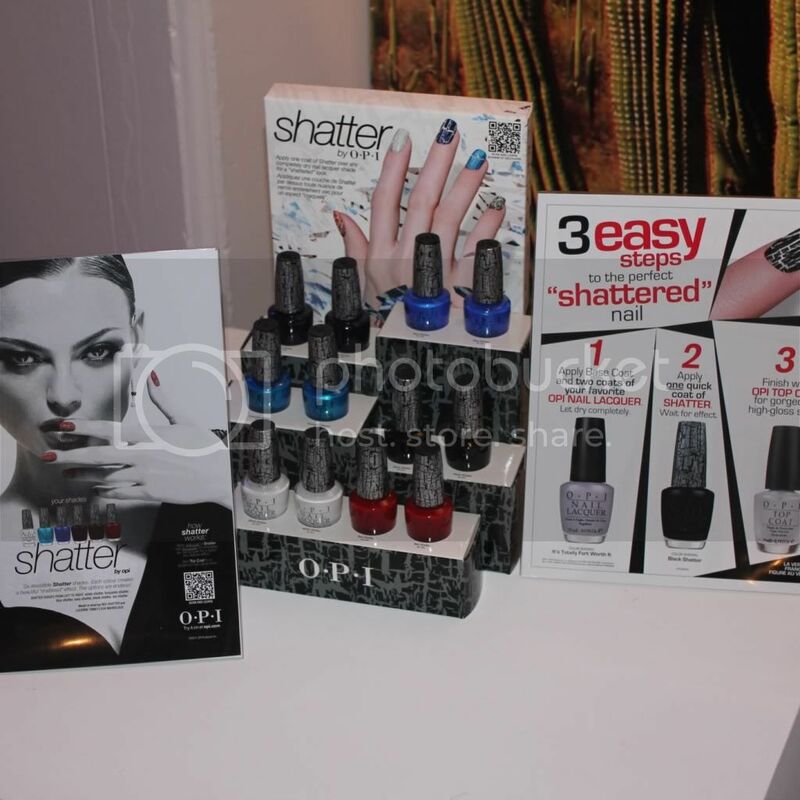 Shatter by OPI available now at selected beauty salons, spas and David Jones nationally for $19.95RRP. Serena Glam Slam! US Open duo, available in August 2011. 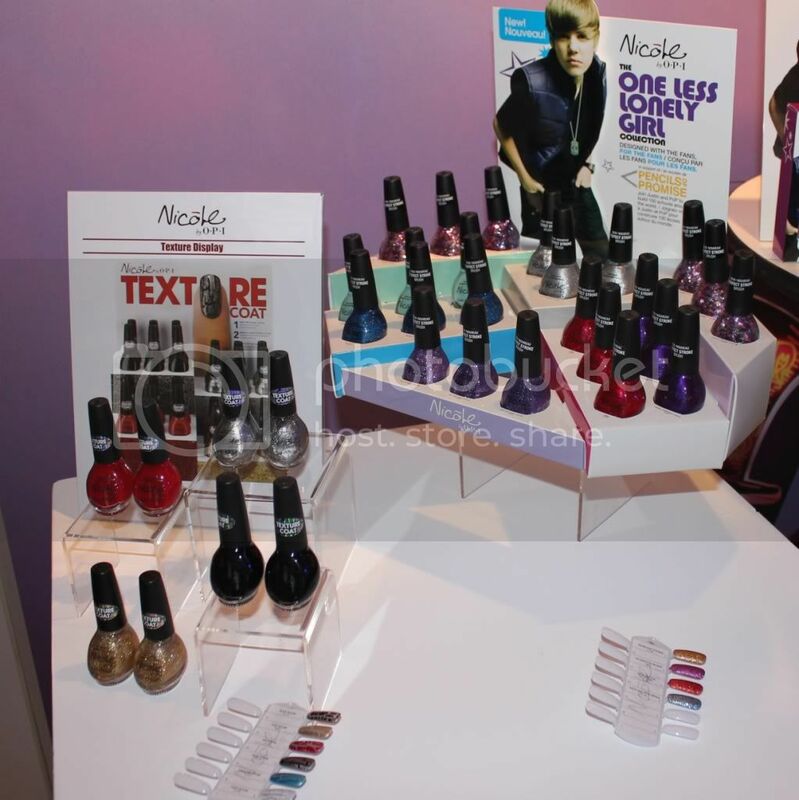 Nicole by OPI Texture Coat available in October 2011, and Nicole by OPI Justin Beiber - The One Less Lonely Girl collection, available now at Terry White Chemists and leading pharmacies. Some of the entertainment at the launch party with Femme De Cirque collection and Pink Shatter. Femme De Cirque is available now and Pink Shatter will be available in September through to October. The gorgeous Michelle from Cosmetic Cupcake with the lovely Ruth and Bill McKendrick from International Beauty Supplies/OPI Australia. 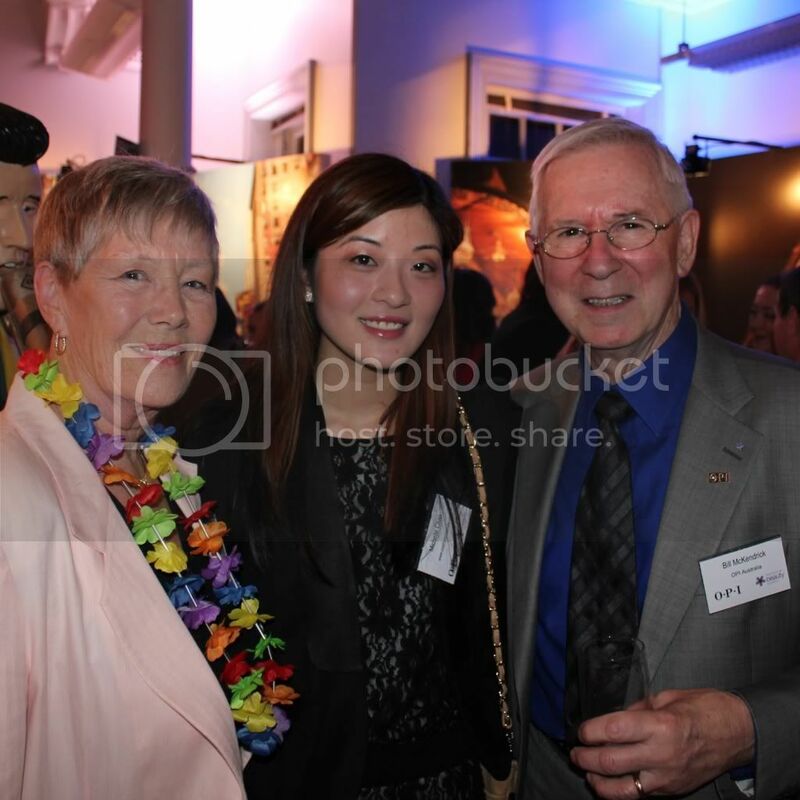 And finally, the only photo of the night of me! The downside of taking all my own photos is that I'm never in any! 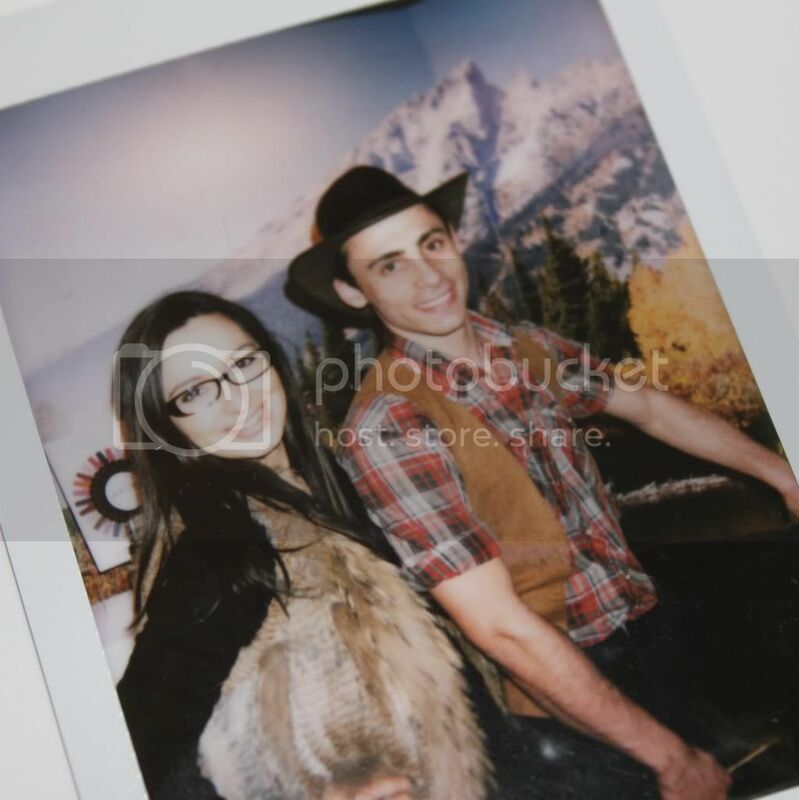 I got this sneaky polaroid taken with one of the "cowboys" at the launch party! ha! I was lucky enough to get a goodie bag with some samples of the Touring, Nice Stems and Beiber collections so I will definitely be posting those in the coming weeks!